GemView® requires two drivers to operate. See the GemView and DisplayLink Driver on the GemView Software page. Topaz Systems’ latest product category offers all the display advantages of a high-performance tablet with none of the IT drawbacks. If your business has specific hardware or software requirements, please contact us for assistance. 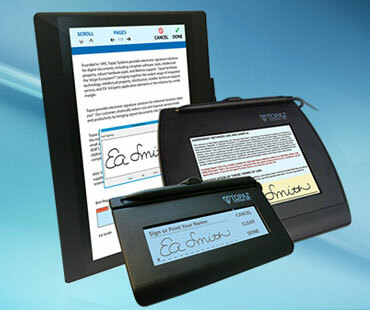 GemView Tablet Displays come bundled with Topaz software solutions for GemView, including apps for PDF creation and signing (by the PC user, by a client in a one-on-one environment, and by multiple clients in a one-to-many environment), SDKs for development, and more.